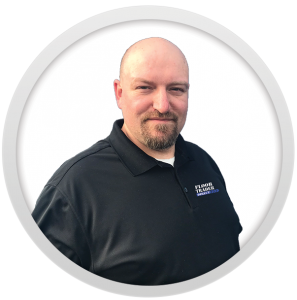 Jay Jones brings over 20 years of experience in the flooring industry. He has installed flooring along the west coast from Washington to California. Starting in residential installation and working his way into commercial and multi-family. Jay is a Master Mechanic of flooring, countertops, and wainscoting installations He has installed every type of flooring including medical grade integral cove sheet vinyl. Beyond his flooring knowledge Jay has worked in all phases of construction; starting with the ground breaking of a project, all the way to placing the last shingle on a roof. Prior to running the at-home sales division of Floor Trader Direct. Jay was a lead installer, project manager, estimator, safety manager, and many other titles for a large-scale installation company. He worked on projects of all sizes, from family housing on JBLM, up to new construction high-rise buildings. 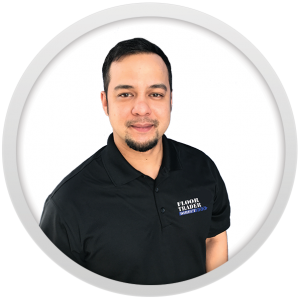 Jay’s broad range of experience coupled with industry knowledge is what sets Floor Trader Direct apart from all others. His commitment to our values ensures Floor Trader Direct will be a household name for years to come. Jay, and his significant other Kelli, are deeply rooted in the Northwest. Jay is a father of three with a long-standing involvement in their growth and education. They follow all the local sports teams with a special place in their hearts for the Seattle Sounders and Seahawks. Jay also spends time enjoying the local music scene. You will find him and his family out in nature enjoying lakes, camping, snowboarding, hiking, and all the other things the Great Northwest has to offer. Jay’s attention to detail is unrivaled, seeing solutions before there is a problem. He has proven to go above and beyond for our clients, ensuring the personal touch people have come to expect from our 4th generation family company. John Trieschmann joined our team in 2012 to help us develop our shop at-home division. 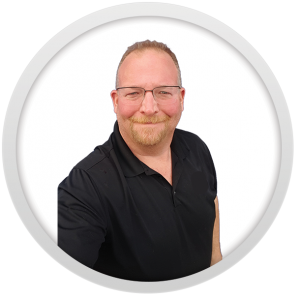 John has been in the construction industry for nearly 20 years; with 10 of those years as a professional painter working on high-end single and multi-family new construction projects throughout the Seattle area. 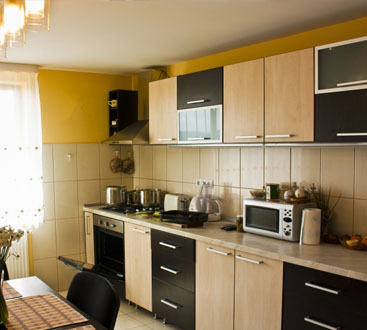 As a quick learner with attention to detail, he climbed the ranks so quickly, that in a short time, he was managing a large team of painters on multiple projects. 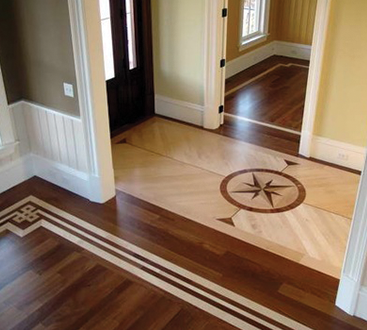 When John joined the flooring industry, he first worked in the field learning how to install all types of products. It didn’t take him long to prove he not only had what it takes to install a great floor but also the importance of communication with the customers. His gift of attention to detail and perfectionist mindset catapulted John into the role as project manager. John manages 40 projects and upwards at any given time. His hand touches everything from early production down to the last correspondents with our clients. John is a vital member of our management team and contributes to our success one job at a time. John and his significant other, Cynthia, have two children together, a son and a daughter. Whether it’s camping, boating, road trips, BBQ, or stopping in at a family fun center, spending time with his family is at the top of his list. He loves watching sports in his downtime, but really enjoys following the Seattle sports teams. You may find him at a local stadium cheering for the Seahawks or the Mariners! Dean Paulson is the 3rd generation of the Paulson family business whos family has owned and operated the local family business since 1921. 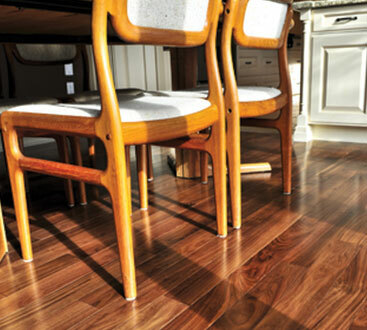 Throughout the years, the Paulson family has been known in the flooring industry under several names. G.W. Paulson Co, Floor Decorators Inc, Stone Mountain Flooring Outlet, Carpet Mill Outlet, The Floor Trader of Tacoma and recently Seattle Flooring Company along with Floor Trader Direct. When Dean joined the family flooring business in 1990 after getting his BS in Business, he worked his way up in the family business. From working in the warehouse during his teen years, to retail sales, to builder and commercial sales and finaly to store manager back in 1996. Dean pretty much has seen and experienced it all when it comes to flooring and the running of a first class flooring business. Dean wears many hats when it comes to the business and has a vast range of knowledge in the industry. Dean and his lovely wife of 28 years have two wonderful children. Zachary, who is the sales manager at The Floor Trader of Tacoma, oversees the sales floor and is a top producer for the store. He is married and now has 4 children who plan on carrying on the family business into the 5th generation. Sydney, Dean’s daughter, is now attending college and plans to have a carrier in the aviation industry as a pilot. Dean enjoys a wide range of things and is an accomplished and professional photographer, dive master, and basically has too many hobbies which include shooting, flying drones, and fishing. We want to personally invite you to check out our store at the Floor Trader of Tacoma, located at 7310 South Hosmer St, Tacoma WA 98408. We sincerely appreciate your businesss and look forward to servicing your account with a personal family touch.